With the Jio Summer Surprise offer, customers get free services till July, after which their recharge of Rs. 303 or higher value kicks in. It is not yet clear whether the Rs. 309 or Rs. 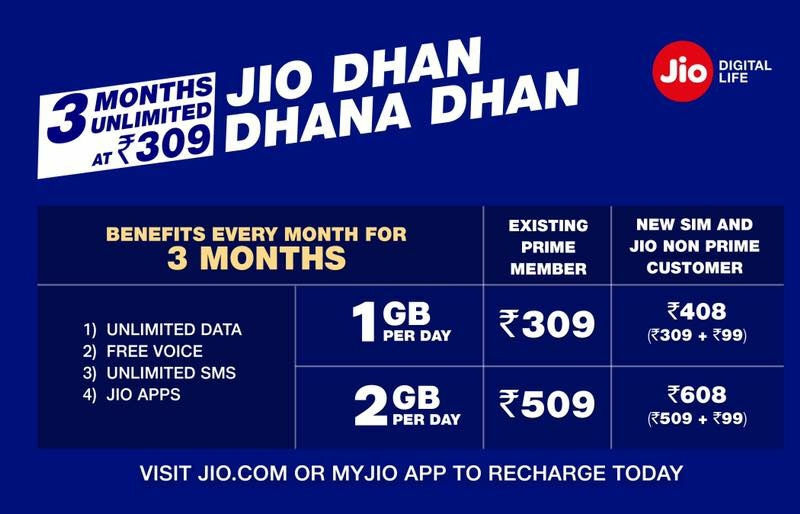 509 Reliance Jio pack users paid for comes into effect in July with the Jio Dhan Dhana Dhan offer as well.